Share a FileMaker Pro 13 and 14 database worldwide or across town 24/7. MacUSA FileMaker Server 14 high-performance servers can serve databases worldwide to friends and associates that have FileMaker Pro 12/13/14 and a broadband Internet connection. Clients are easily able to link offices to a private and secure database server without spending thousands of dollars annually for dedicated services. 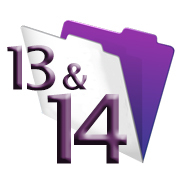 FileMaker Server 13/14 serves FileMaker Pro 12, 13 and 14 databases/users. FileMaker 13 and 14 no longer support IWP (Instant Web Publishing). Instead it uses the more costly WebDirect. Start your free 30 day trial. FileMaker Server 13 / 14 divides connection types into two groups. FileMaker GO connections are no longer grouped with FileMaker PRO connections. Instead, FileMaker has grouped FileMaker GO connections with their new web publishing engine WebDirect. FileMaker Inc. has limited connections to the server for these two types of concurrent connections. We offer groups of 5 concurrent connections for both FileMaker GO and WebDirect (combined). When placing your order you'll have the opportunity to choose up to 5 simultaneous FileMaker GO and WebDirect connections for an additional fee. You'll also have the option to add a website plan if you wish to use Custom Web Publishing. With Custom Web Publishing a PHP site developer can customize the look and flow of each database driven page and actions performed by scripts and CGIs.